A romantic drama set back and forth in 1950s, Paris, and post 9/11 in New York City, this movie is based on two true stories of two individual woman – Julie Powell, and Julia Child – whose lives were intertwined through the love of culinary, despite the disparity of time and space. However, through time, both discovered that with the right ingredients of passion, ambition, and lots of butter, all things are possible! 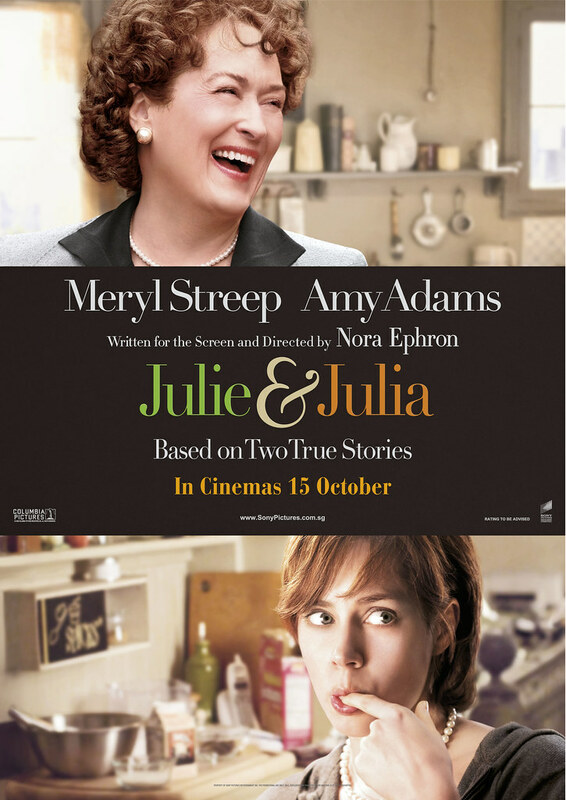 Convincingly starring Meryl Streep as the celebrated chef, Julia Child, who never failed to tingle the hearts of the audiences with her heart-warming character and delightful assortments of high-pitched diction. One would also be inspired by her never-say-die attitude – to be the first American woman to study at Le Cordon Bleu, Paris. Her tenacious approach in spending years co-writing the much distinguished cook book – Mastering the Art of French Cooking was also much applauded. 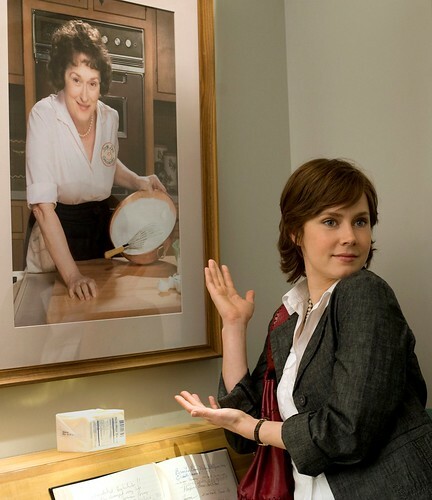 The concurrent storyline tracked Julie Powell (Amy Adams) who found her perfect outlet from her stressful job, a call centre operator for the redevelopment of WTC – that’s right, through cooking! Revealed as a huge fan of Child’s, Julie devoted 365 days to cooking all 524 recipes found in the cook book and documenting it on her blog. And like her idol, she found eventual success - through her blog, became a book author, and finally a movie made about her. HFB truly enjoyed the show – for both as a foodie and a blogger, he could absolutely identify the emotional rollercoaster conveyed by both characters at different stages of their lives – cooking and blogging as a form of therapeutic release from the mundane everyday life, suffering meltdowns when the recipes did not turn up the way it should be, getting his first comments on this blog, and securing his first interview with the mainstream media. So if you are foodie and you blog, this movie will definitely keep you glued to your seat. A 4.5 out of 5 yummy Beef Bourguignon!